Which series of levers should I choose? We make our levers in a variety of series to suit your price point and preferences for look and feel. 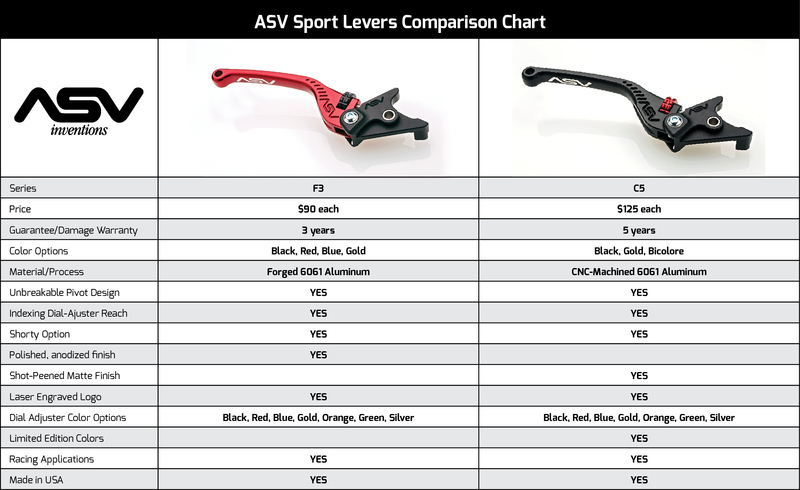 Regardless of which ASV lever series you choose, rest assured that you'll get the same quality components, commitment to function and top-notch customer service. 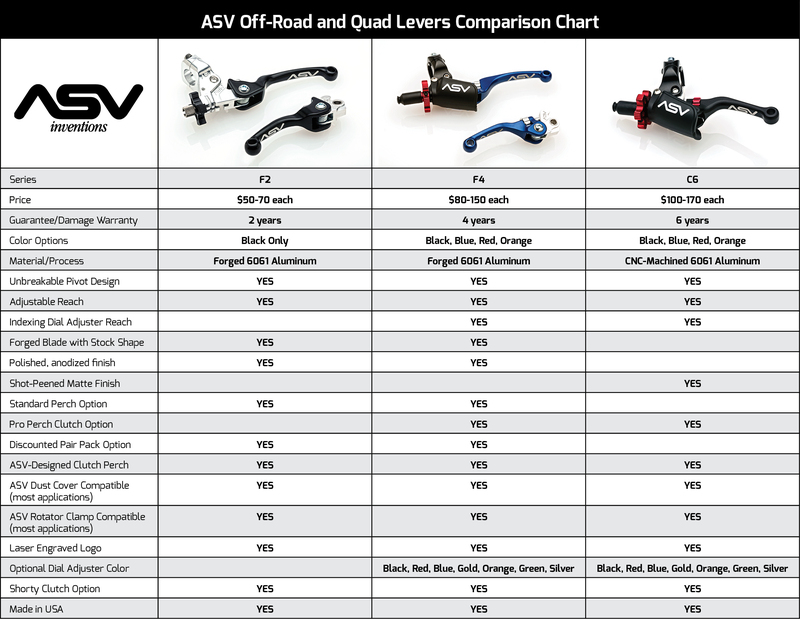 Check out these comparison charts for Street, Off-Road and ATV to help you decide which series is right for you.